The first thing that comes to mind when talking about information technology is servers. From sending emails, playing online games to making online payments; pretty much everything is managed by servers. Servers are the backbone of any IT infrastructure as they are a prerequisite to getting started in the digital space. When you go for server hosting services, you will come across two options – Dedicated and Shared Server Hosting. Limiting the discussion to dedicated server hosting, the blog post discusses a few facts on dedicated servers. Take a look. A dedicated server, as the name suggests, can be defined as a machine or remote computer that is entirely devoted to an organization, individual or application. In other words, a dedicated server addresses the needs of only one client by allocating computing resources and performing diverse functions, such as hosting, link forwarding, and monitoring. Though a dedicated server acts like an in-house server, it’s actually deployed and managed by a third party service provider. Any company or organization that opts for dedicated server hosting generally access the services over the internet. Managed – In a managed dedicated server hosting arrangement, the client provides the data to be feeded to the servers whereas the web host manages other aspects such as deployment, maintenance and troubleshooting. All other tasks such as managing accounts, performing backups, and addressing technical difficulties are done by the third party provider or the web host. 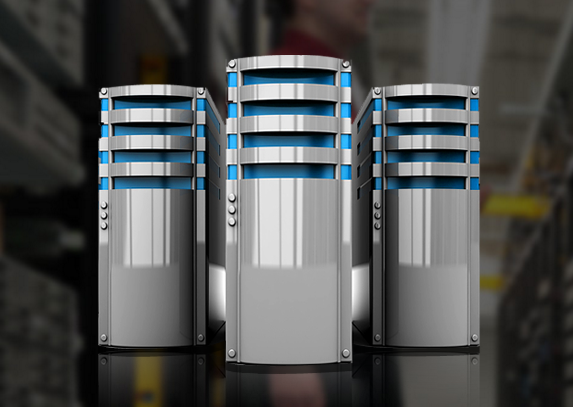 Suitable for mid and large sized organizations, managed dedicated server hosting is truly a “set and forget” solution. Unmanaged – An unmanaged hosting environment is quite different from a managed one, given the fact the client is responsible for operating, managing and troubleshooting technical issues that may arise. The web host or the third party provider, on the other hand, only provides storage space, physical security and negotiated bandwidth, which is essential for a smoothly running server. Moreover, the company opting for unmanaged server hosting needs to have in-house resources to take care of the hosting aspects and intermittent issues, as and when required. Though dedicated server hosting is an expensive proposition, it is a great solution given the several benefits it offers. When you opt for dedicated server hosting, the service provider dedicates an entire machine to cater to your organization’s IT workload. Not only can you expect minimum downtimes, but also unmatched support for your business operations. If you are looking for a reliable dedicated server hosting solution for your business; look no further than i2k2 Networks. We have state of the art infrastructure and a team of experienced IT professionals to help you in every aspect of server hosting, be it deployment, maintenance, or troubleshooting. To learn more, fill out our contact form. You can also call us at +91-120-466 3031.